iSpQ VideoChat is premium webcam software that lets you connect with thousands of people from around the world in a thriving online community. Compatible with virtually every webcam and network configuration, iSpQ (pronounced “Eye-Speak”) VideoChat makes meeting someone new or staying in touch as easy as typing. Unmatched video resolution and clarity make iSpQ Video Chat a great value for all broadband internet users. Both experienced and new users of video chat will find that iSpQ Video Chat truly takes the guesswork out of using your webcam. Greater Privacy - Unique security settings give you flexibility and control over what communications you receive. CamTrust screens unwanted photos from others. Video Instant Messaging - Snap a photo from your webcam and send it in real-time to other community members. Detailed Profiles - Share information, photos, and interests with others. Social networking is easy when you specify Interests in your profile. Large Community - Pick your place to chat from the dozens of public themed rooms (popular choices are Friends & Family, Couples Room, and Adult/Gay Chat. V-Mail (Visual Mail) - Take your picture and iSpQ Video Chat will send it to anyone with an email address. No plug-ins or additional downloads needed. Higher-Quality Video - Meet face-to-face with multipoint video chat (video resolution of 320x240 at up to 15fps). Integrity Messenger is the ultimate co-brandable real-time communication software. This multi-network client allows you to communicate to all the major IM networks (MSN, AOL, ICQ, Yahoo, Jabber, and IRC) within a single software program. This product is designed to make Internet communication simple and easy. Thanks go to Jean Michel, who has warned me to update the code. Microsoft challenged developers worldwide to create conversational robots, or BOTs, for MSN® Messenger and Windows Live™. The entry period has ended, and Microsoft is now evaluating the entries and choosing winners. The most original, useful robots will collect over $40,000 in total prizes. And the robot with the most popular votes in the Robot Gallery wins the $500 User’s Choice Award. Try entries and vote! All you have to do is adding the email address provided by the bot to your contact list. Dr Phile can give you information about: - Systemfiles (.exe & .dll) if they are legit or malware. - Virusinformation of viruses that are wild. Dr Phile can also chat with you if you are bored, it is an AI-bot so it learns as you chat. Skype, MSN Messenger and Windows Live Messenger call recording! Click one button to capture all sound sources! Simple tools for easy audio editing! Audio Vampire is an epoch-making audio recording application that can capture any sound played through the speakers of a personal computer. It's also a full-fledged audio editor with an extensive range of tools and effects. A simple CD ripping wizard transfers your favorite music tracks to your PC. The captured audio can be saved as WAV, MP3 or WMA files. The newest version [ver3.0] supports VoIP call recording using Skype, MSN Messenger or Windows Live Messenger. This is the first Japanese software that can record Skype conversations. Test your friends' compatibility with you! Host a blog directly in your AIM profile! How well do your buddies know you? Put it to the test and secretly track how everyone does! Ever seen a picture in someone's profile? Check out this sweet service to add a pic to your profile and then see who is checking it out! Catch your AIM stalkers with a link! Securely spy on who clicks on links in your profile! A password protected version of Link Spy. Tired of having the same boring Away Message? Do you put web links in your profile? Now track which buddies click on them! Put a survey in your profile! Who are you gonna vote for? Get the new smiley codes here! YTK Pro is the Ultimate Yahoo! Messenger with Voice companion. This easy-to-use chat utility provides additional features to Yahoo! Messenger including enhanced privacy, unlimited safe list/white list, unlimited ignore bin, font and style filtering, the highest of anti-boot protection available for the Yahoo! Chat network and full spam and nuisance blocking. Select the filtering options you want along with their custom levels and YTK Pro will take care of all the rest! * 'True' Yahoo! Messenger Integration! YTK Pro integrates with Yahoo! Messenger and truly extends it's functionality, meanwhile, adding in it's own. YTK Pro helps to prevent abusive users in and outside of chat rooms from successfully deploying "boots", "lags" and other malicious attempts against you to knock you off the network or interrupt your chat session. Duplicate messages, "screen clears", lag attempts, bounce/jitter bot disruption and flooding chat rooms with messages can be optionally blocked so you don't see them. YTK Pro includes privacy features that go far beyond those included with Yahoo! Messenger. Extended privacy options allow you to decide if you want to receive private messages and invites from people on your buddy list, safe list, people in chatrooms, and from people that you do not know (unknowns). Message text effects such as fading, alternating text colors and large fonts can disrupt chatrooms and make many messages hard to read. YTK Pro can optionally filter the sender's chat text to remove these attributes. YTK Pro monitors the content of private messages and chat room messages and will block SPAM-related material and random annoyances as they occur. Kiwee for Windows Live Messenger is your source for premium Instant Messaging Content. 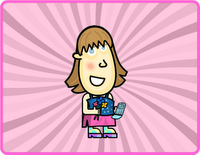 Express your chat in wild and exciting ways with Muggins, Characters with Moods, Emoticons, Winks, Personalized Winks, Dynamic Backgrounds, Regular Backgrounds, Regular Display Pictures, and Packs. StickerCam allows you put stickers on your own webcam for your friends and family to see! + all new special effects and filters to enhance your current webcam or use even without owning a webcam. With built-in virtual webcam emulator to playback recorded video and images live! * Stickers can be added & removed, even after recording! Peer to Peer social networking and user generated content, with integrated instant messaging and VoIP. Izimi is a new P2P platform for socialising with your friends and sharing music, photos, videos, and documents. You can even make money from your content! Izimi is a true P2P application, meaning faster, more efficient, and scalable communities which don't slow down as the number of users grows. Screenshot Sender allows you to quickly and easily send screenshots to your contacts. Customisable options etc with more features added in future releases. - Open a conversation window. - Choose Screenshot Sender 4, and click on one of the options. Y! Messenger 8 Multi Patch will allow you to run multiple instances of Yahoo! Messenger instead of only having one open. This is perfect for those who run under several names. This is intended for the 8.0 version of messenger and may not work properly on lower builds. If you like customising your instant messenger, you'll love Mess Dudes! Design your very own Dude or Dollz from hundreds of different body parts, clothes, items and backgrounds to express your personality and mood! Not only can you use your Dude or Dollz display pictures with MSN Messenger 6.0 / 7.0 & Windows Live Messenger 8.0 as buddy icons in your favourite chat application. You can install your Dude or Dollz in MSN Messenger 7.0 & Windows Live Messenger 8 like you would a custom emoticon or smiley! Winamp to Google Talk is an extension for Google Talk that serves to show in your state of Google Talk the song which you are listening at every moment with Winamp. The program allows you to form the text that is going away to show, specifying the area code and the suffix, whereas the titles or the artists appear by defect without previous modification. * Like MeeboMe, Trillian Astra provides a web client for 'no-download' access to IM. * Like Meetro, Trillian Astra allows you to share your geo-location information -- fun for mobile users looking to find friends nearby. * Online status indicator. Share your status with anyone on your blog, at MySpace or in a forum signature, regardless of which IM network(s) you use. * Widgets - share your Flickr photostream, or your current playing song, or get the weather for your contacts. * "Buzz" compatibility (for those of you who live that feature on WLM and Yahoo! Messenger). Trillian Astra is still not available for download. Visit preview page for more info and screenshots. Buddy Icons Direct is a revolutionary new add-on designed for AOL Instant Messenger (AIM) that delivers a huge and ever-growing collection of Buddy Icons directly to your desktop. New Buddy Icons are added on a daily basis, and you will be notified of the new content within a few minutes after it becomes available! The Buddy Icons are all categorized and browsable, and you can automatically add the icons of your choice to AIM, with a single click, no other work required! * Fast, Fun and Free, no hassles! * Get news and updates about AIM as they happen! Downloading and installing Buddy Icons Direct for AIM is extremely quick and easy, and its completely free! With an extremely easy to use interface, anybody can easily use the AIM Buddy Icon Stealer in a flash! The installation file is extremely small so you'll have it up and running in a matter of seconds! This utility is a great tool for expanding your collection of buddy icons, playing pranks on your buddies by stealing their icons and maybe even annoying them a bit! A-Patch boasts a tremendous amount of customization to better your Windows Live/MSN Messenger experience, with even more planned! Remove advertisements and buttons you don't need, cut down on wasted space, sign-in to more than one e-mail address at the same time and even more features just waiting for you to take advantage of! The only really efficient way for an administrator to secure his network against Skype® risk consists in uninstalling it from all corporate computers. Done manually, the task is fastidious, time consuming (Audit of all installed versions and removal one by one), and also ongoing (to avoid inopportune reinstalls). With SkypeKiller, Skype´s eradication on a whole network, or on your own selection of computers, only takes a few minutes and doesn´t require any intervention on target computers. AIM Log Manager allows you review a database of your AIM conversations. You can keep your entire IM history at your fingertips, strongly organized and searchable. AIM Log Manager enables you keep an IM database of employees of your business and use it to keep productivity up and comply with legal record-keeping requirements. * Record all your IM conversations, chatrooms, buddy events, away messages and files/images automatically. * Logged IMs go into a single conversation database file for easy backup and sending. * The log file is automatically compressed, reducing its size by 70%! * Import existing logs from other logging programs easily; supports DeadAIM, MyIM, AIM+, auto-colorizing plain text conversations, and more. * Send automatic e-mail transcripts of conversations. * Be discreet with Stealth Mode, or password-protect your log file. * Browse, sort, categorize, edit, cut, copy and paste convos with ease! * Record or import Buddy Events (sign on/off, away/back) and browse them effortlessly by screenname, by day, etc. * Automatically record all files and images sent through directly connected IMs, (and automatically convert bitmap images to JPEGs before sending through IM!). * Organize and manipulate your conversations easily by cutting and pasting them between screennames and files, editing their timestamps and contents. * Utilize an extraordinarily powerful search engine to search through your history, with the ability to use multiple terms and search conditions. * Use the interactive calendar timeline to view the chronology of your conversations graphically. * All your logs are stored in a single, efficient, automatically compressed file. No necessary messing around with unorganized and hard-to-browse HTML log files (although recording these additionally is supported). You can password-protect the file if you need! * Intelligently merge conversations, especially ones that are close together, automatically if you choose. * Remove notifications, edit your logged conversations' contents manually, filter duplicates, and much more! Talkonaut is a Google Talk[tm] like application for your mobile phone. Unlike most others IM clients, Talkonaut lets you explore all features of VoIP on almost any J2ME complient device. # Talkonaut can be used with any Jabber account, including Google Talk. And that is all for FREE. # Using Talkonaut you may now talk from your mobile to other Google Talk or MSN/Live Messenger users or even to any SIP phone or service. # Talkonaut allows you to make cheap VoIP calls to any mobile or landline phones worldwide in a one-click way! HyperIM is a freeware, universal status manager, with extendable capabilities (plugin-oriented architecture). HyperIM uses expandable text macros (variables and flags) to generate dynamic strings/statuses which change in time (e.g. many media info details from different media players). this information quickly and secretly. It's easy to use and no additional program installation is needed on the monitoring target computers. No one will know how their MSN conversations is being blocked or recorded and it will never stop working until you close it. IMMonitor ICQ Spy allow you to monitor, block or record ICQ chat conversations remotely, Is your spouse, child, or friend hiding secrets from you? or you suspect they're engaged in dangerous conversations, If so IMMonitor ICQ Spy is your best choice for anyone that needs this information quickly and secretly. It's easy to use and no additional program installation is needed on the monitoring target computers. No one will know how their ICQ conversations is being blocked or recorded and it will never stop working until you close it. Yahoo Messenger Monitor Sniffer is handy network utility software designed to capture and observe Yahoo Messenger conversations on all computers in a network. It is able to record conversations automatically in real time. And export all intercepted messages to HTML files for later processing and analyzing. It is very easy to make it to work, and it will monitor all conversations in your Local Area network without the use of client software installed on the remote computer. MSN Messenger Monitor Sniffer is network utility software designed to monitor, record and capture MSN Messenger conversations on all computers in a network. It is able to record all conversations automatically and export all intercepted messages to HTML files for later processing and analyzing. It is very easy to make it to work, and it will monitor all conversations in your local area network without the use of client software installed on the remote computer. ICQ Monitor Sniffer is network utility software designed to monitor, record and capture ICQ chat conversations on all computers in a network. It is able to record all conversations automatically and export all intercepted messages to HTML files for later processing and analyzing. It is very easy to make it to work, and it will monitor all conversations in your Local Area network without the use of client software installed on the remote computer. Technorati Link Count Widget allows you display the number of links to each of your posts in real-time. Technorati tracks when other bloggers link to your blog and this widget makes it possible for you to display the number of links on every blog post. For more info visit Technorati.